This year start a new tradition by creating your own Christmas and Winter theme Imagination Dice. One of our advent calendar activities is to use the dice to create silly holiday stories, which is great for imagination, creativity, storytelling and general family fun. My kids have already asked when we’re going to do it again because we had so much fun last year! Holiday Imagination Dice make great party favors or gifts for neighbors or friends. They are also fun to use at family holiday gatherings with the grandparents and relatives. Hope your family has lots of laughs, creates silly stories and starts a new holiday tradition with Holiday Imagination Dice. Don’t forget to write down or record your stories. Do your child’s stories tend to revisit the same topics and themes such as a best friend or favorite sport, hobby or place? Sometimes kids (and adults too) just need a little spark for the mind. 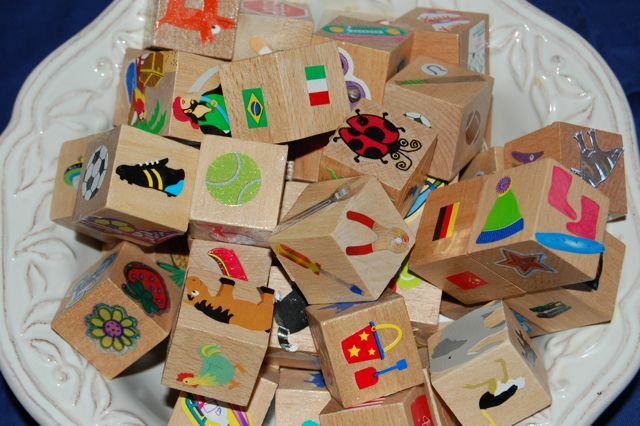 Imagination Dice are wood dice with images on each side to generate ideas and inspire creativity. They help overcome a thinking rut by solving the “I don’t know what to write about” response we often hear from our kiddos. Imagination Dice build on writing and communication skills while encouraging creativity, imagination, humor and silliness. No matter what your child’s future has in store, these are practical skills he/she will need to see growth and success. 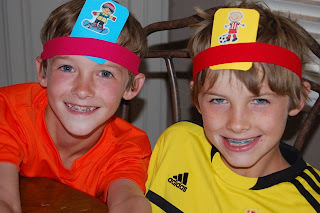 Using Imagination Dice is a fun and engaging way to enrich your child’s education at home. When playing with them, model the expanding of ideas and using lively verbs and adjectives. All ages can work together to create amazing stories and memories your child will cherish forever. 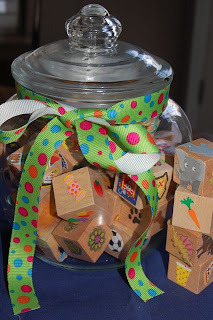 Family activities like using Imagination Dice build confidence in expressing and sharing ideas.